Each year for our "Camp Mom" we choose a few themes to spotlight! We spend a week doing fun activities together all around the theme. 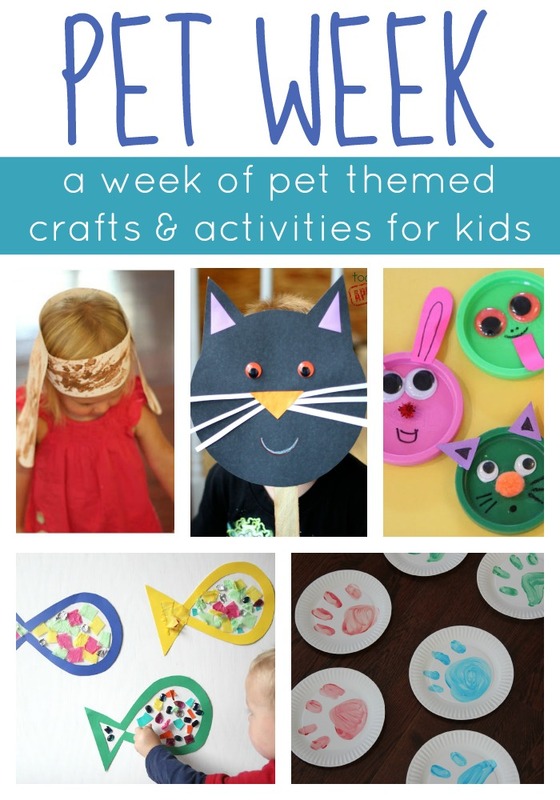 This week we are hosting Pet Week!! We'll be sharing a few crafts and activities related to dogs, cats, and fish... since those are the favorite pets at our house. Do you have any pets? What are the favorites at your house? A few weeks ago I hosted a Toddler Book Club that was Pet themed. The kids LOVED it. We played this activity and have been playing it ever since! 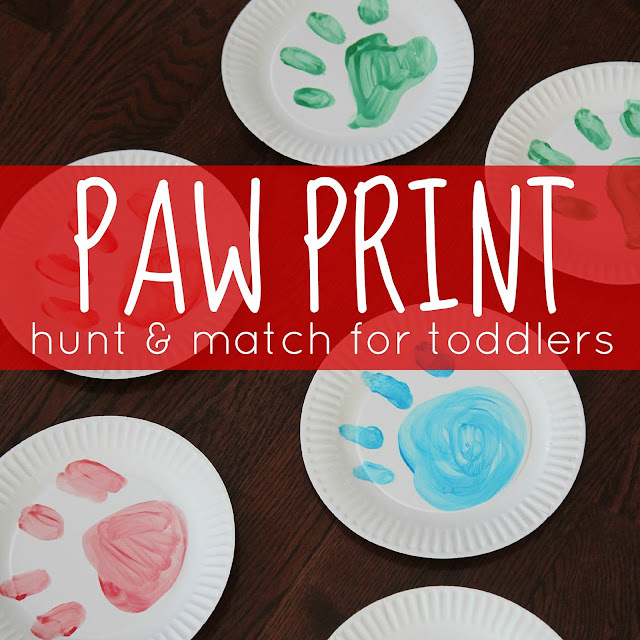 To prep ahead you'll want to make paw prints on the paper plates using markers. Make two of each color. Then HIDE them around your house! Once your paw prints are ready you can start hunting! Hide the paws in hard spots for older kids and easier spots (in plain view) for younger kids. 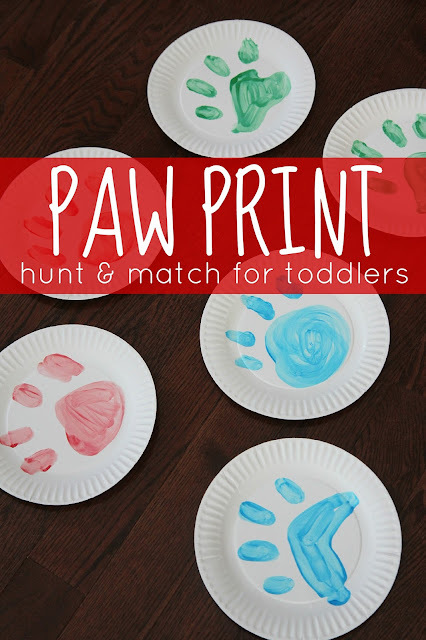 As they find the paw prints have the kids match each colored paw to its matching paw print! We had fun talking about the colors while we matched. For my 2 year old I only made 3 pairs of paw prints because that was plenty for him. For older kids you could make more and in a variety of colors. This is a fun activity to do together with a group or to just do with one kid! When doing this activity as a group you could assign each child a specific color to find and match or just have them all work together. If you want to join in for Pet Week follow me at @kristinatoddlerapproved on Instagram using the hashtag #PetWeek. Post any Pet crafts or activities you do so we can check them out!